Subaru has announced the 2019 WRX and WRX STI will be available as a limited edition Series.Gray. Based on the WRX Premium, the WRX Series.Gray will feature a Cool Gray Khaki exterior with exclusive Crystal Black Silica badging. 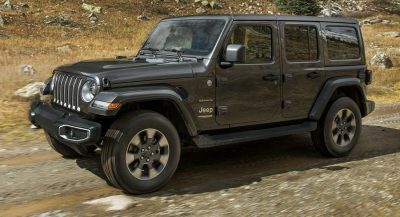 The model will also come equipped with 18-inch wheels featuring a black finish. Other highlights include LED lighting units and a keyless access system with a push-button ignition. Interior changes are limited but the car comes standard with the Performance Package which includes ultrasuede Recaro seats with eight-way power adjustment on the driver’s side. The package also includes a moonroof delete, JURID front brake pads and red brake calipers. Under the hood, there’s a turbocharged 2.0-liter boxer engine that develops 268 hp (200 kW / 271 PS). 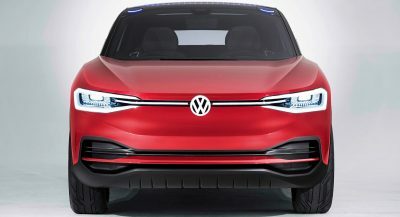 It will be connected exclusively to a six-speed manual transmission and a symmetrical all-wheel drive system with active torque vectoring. Production will be limited to 750 units and pricing starts at $32,595. Buyers looking for something more powerful can opt for the WRX STI Series.Gray. 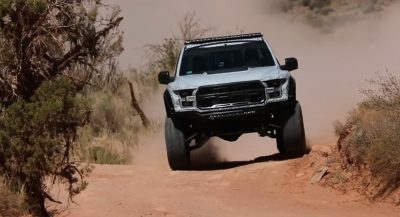 It’s largely identical to the aforementioned model but it has larger 19-inch alloy wheels which are backed up by a high-performance braking system with Brembo calipers. 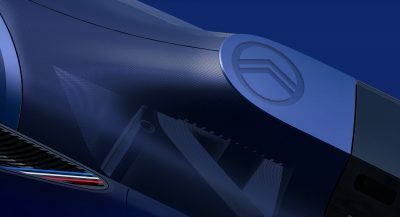 The model also has a sport-tuned suspension with Bilstein dampers as well as a modestly revised interior with an ultrasuede steering wheel and ultrasuede black seats featuring black leather bolsters. The biggest change is under the hood as all 2019 WRX STI models have been equipped with an upgraded 2.5-liter turbo engine that features a new air intake, stronger pistons, an enhanced exhaust and an optimized ECU. Thanks to these modifications, the engine now produces 310 hp (231 kW / 314 PS). Only 250 units will be available and each one will cost $39,695. 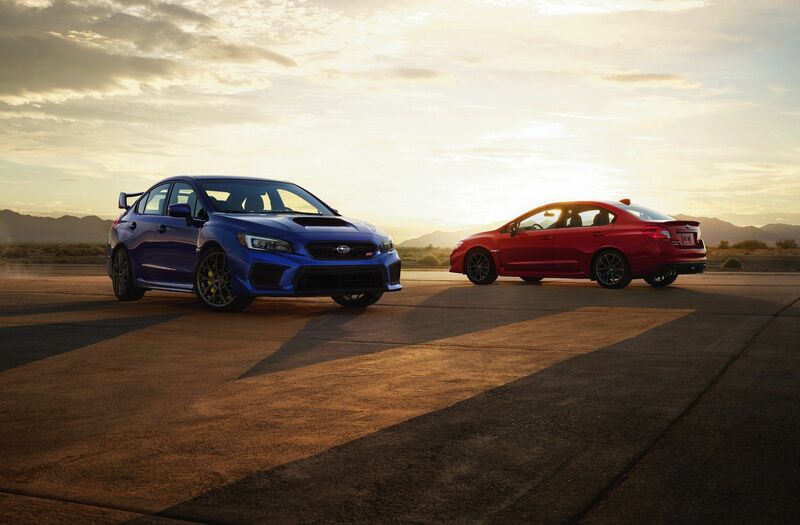 Besides the special editions, the 2019 WRX and WRX STI have an upgraded infotainment system with Android Auto and Apple CarPlay compatibility. 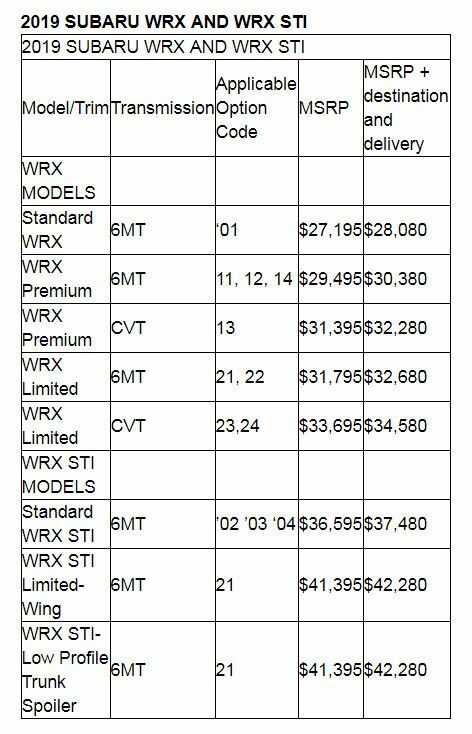 Pricing starts at $27,195 for the WRX and $36,595 for the WRX STI. What a joke. Make a new and good looking WRX/STi already and put this dinosaur to rest! With the upgrades to the STI everyone that purchased a Type RA are going to be pissed. That list of upgrades reads exactly like the RA’s upgrade list minus the assistance wing and carbon roof.